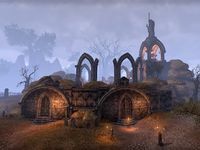 The cemeteries and graveyards of Reaper's March overflow with the dead slain in war after war, but at least their survivors could always count on them resting quietly. However, that was before Molag Bal began his Planemeld. 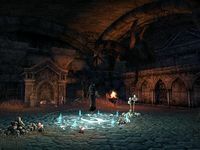 Thibaut's Cairn is a crypt in central Reaper's March, east of Vinedusk Village containing undead. The Cairn is named for its most noted "guest," the famed Thibault of Kvatch. Thibault was a general of Colovia, and in his time some hundreds of years ago he was one of the anchor points for the Hastrel Cohort. The details of Thibault's death have been lost. History's Song: Fulfill an ancient bard's wish. 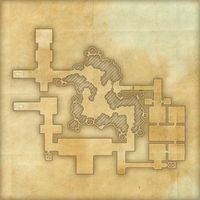 Explore and clear Thibaut's Cairn. Thibaut's Cairn Explorer 10 Explore and clear Thibaut's Cairn. The boss for Thibaut's Cairn was originally found in an outside area after going through and exiting the delve.